Sonya Ranee Tonning, 58, passed away peacefully on November 23, 2018 while visiting her family in Mesa, Arizona. Sonya was born in Boise, Idaho on November 22, 1960 and graduated from Borah High School in 1980. 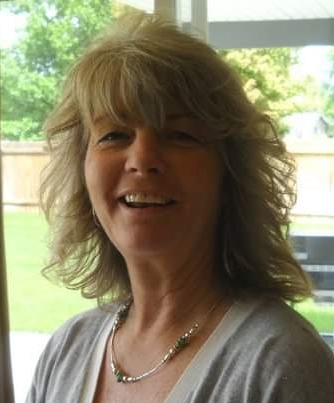 In 1984 she moved with Dan and their two kids at the time to Mesa, Arizona where she lived for 24 years before returning home to Boise in 2008 where she lived until her passing. She is survived by her mother Darlene Gorostiza, her father Richard and step-mother Doreen Gorostiza, her brother Greg Gorostiza, half-brothers Ryan and Troy Gorostiza, her husband Dan Tonning, her three children Brandy Hoyt and son-in law Dustin Hoyt, Dustin Tonning, Hailey Tonning and her six grandchildren Payton Tonning, Charlee Urbanowicz, Lola Hoyt, Lincoln Hoyt, Mason Greenough, and LC Greenough. Sonya was a unique and wonderful woman with a big heart that lived life to the fullest in her own individual, wonderful way. She was married to her junior high sweetheart and best friend, Dan for 36 years. Her grandkids were the center of her life that she loved, cherished and lovingly tormented. Her home was her sanctuary that she loved and cared for in her amazingly creative way. A celebration of life will be held on January 19, 2019 in Boise, Idaho. For those who want to make a donation in Sonya’s name, please donate to the Women’s and Children’s Alliance. With Deepest Sympathy, at a time like this please accept comfort from God’s Word. He promises when you draw close to him, he will draw close to you~ James 4:8.